To develop a creative idea that would tie together Volvo and the soon-to-be blockbuster "Pirates of the Caribbean II, Dead Man’s Chest," we decided to pimp out an XC90 and turn it into buried treasure. 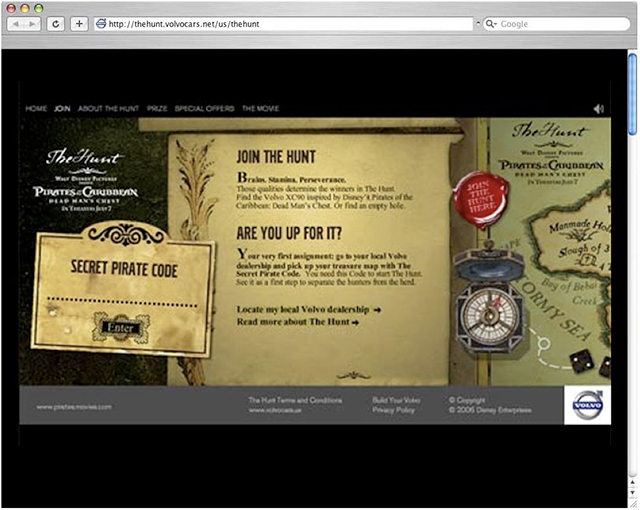 We chose a secret location, documented the dig and then placed clues all over the Internet for an online treasure hunt. If you could find the XC90, it was yours. To play the game, you had to pick up a "Treasure Map" at Volvo dealership to register.